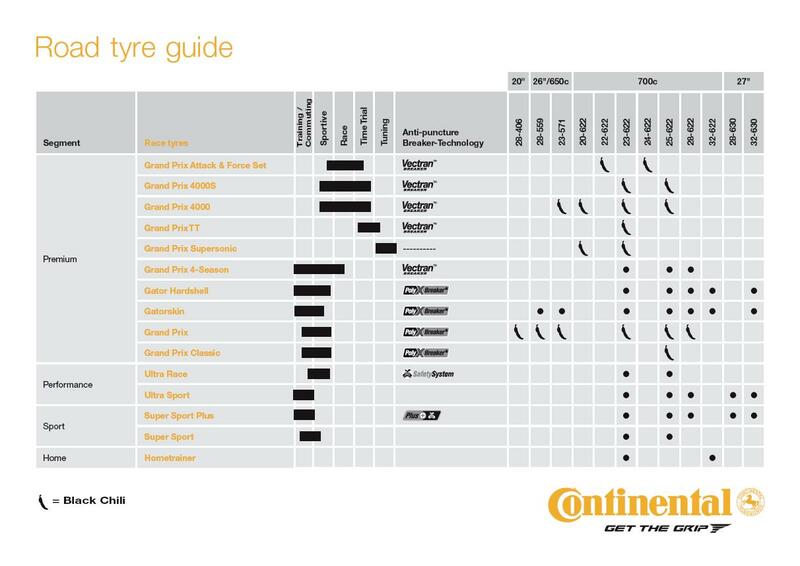 Continental continue to develop their premium Grand Prix Attack II and Force II Clincher Road Tyre set by using their relationship with professional race teams. 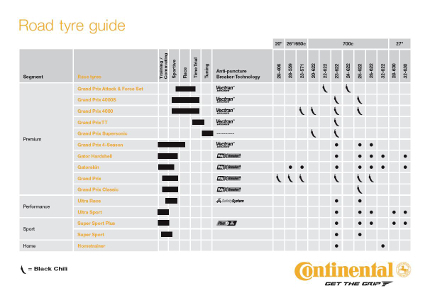 This feedback and technology advancements means the tyres are continually improved. The Grand Prix Attack II features a Black Chili compound that offers enhanced grip and lower rolling resistance. This compound provides a high level of grip in any weather conditions. Its low profile 22mm dimension reduces wind resistance and weight for a quicker ride and added agility. Grand Prix Force II is a strong rear wheel that also features the grippy Black Chili compound for increased traction. The 24mm casing features a broader contact patch, Vectran anti-puncture breaker and 330 TPI casing. - A.D.
Third set of these tires. Very grippy. Not the longest lasting if that is what you want but they are fast. it's not clear how to just say how great the pro 4's tires are in the game of cycling. they meet the task at hand each time you call on them. you will never go wrong. these babies will put a smile on your face on a one or a sixty mile run. you will change the game of cycling. they will improve your game at least 3 to 5 miles faster..you will stop and say is this the same bike and did i do something different. 24mm front 22mm rear right combination Very good Thank you.